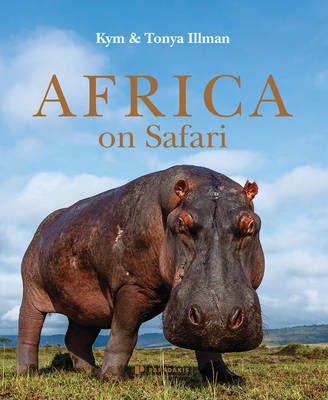 Drama and beauty abound on the plains of Africa and in this superb collection of images, Australian photographers Kym and Tonya lllman present an intimate insight into Earth's greatest wilderness. This lavish book is the result of thousands of hours spent on safari in Kenya, Tanzania, Rwanda, Botswana, Zimbabwe and South Africa. The lllmans' innovative, and sometimes controversial, approach includes cameras buried at the edges of waterholes, mounted on aerial drones and on remote controlled buggies, with many lost to lions and elephants in the process. They have spent days concealed in photographic hides to capture low level shots and have chartered helicopters to photograph wildlife and vistas not accessible by land. Each photograph is accompanied by the fascinating story behind its capture. In a final section the lllmans discuss the various elements that ensure a successful safari, from both a sightseeing and photographic viewpoint. This splendid collection of photographs is an unforgettable record of Africa in all its untamed beauty and raw motion. From the brutality of the food chain to playful shots of animals at their most uninhibited, from majestic sunsets to brooding landscapes, there is no greater theatre than nature itself. This is Africa on Safari.